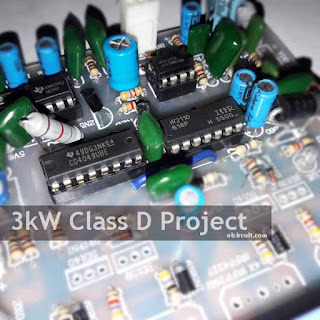 3000W (3kW) Class D Power Amplifier Project using IC IR2110, CD4049 (HEF4049/HCF4049), NE555, LM311, and Op-Amp Comparator TL071 as the main stage amplifier, the driver stage using BD140/BD139 or you can use any driver stage power amplifier transistors. 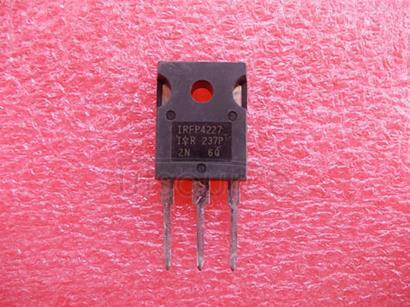 The Final Stage Amplifier using 4 x Mosfet Transistor IRFP260 or you can use IRFP250 / IRFP460 / IRFP4227. And do not forget to lose the importance of the LPF Filter. Resistors 1/4W: 4R7 x 2, 10R x 5, 100R x1, 47R x 4, 1K x 8, 4K7 x 4, 100K x 3. Capacitors: 1N x 3, 10N x 1, 100N x 9, 10uF/16V x1, 10uF/50V x 1, 100uF/16V x 4, 220uF/16V x 1, 330uF/16V x 2, 470uF 100V x2, 470N/250V x1, 100N/275V x1, 680N/400V x1, 220N/275V x 2, 220pF x 2. 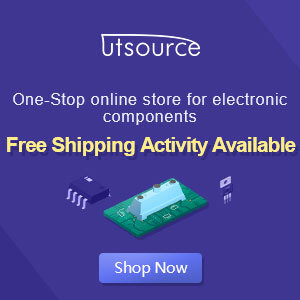 Transistors/ ICs:TL071 x1, NE555 x1, LM311 x1, CD4049 x1, IR2110 x1, 2N5401 x 1, BD139 x2, BD140 x2, MOSFET IRFP4227/250. Below is my Project of this High Power Amplifier, will be updated if it finished. Hello sir, yes you can buy the pcb and components. i will sent you an email. Can you give me a clear schematic of Class D 3000W Gambit? you can download the high resolution of schematic and pcb layout at the links on google drive. how can we increase more power? Is it possible to add more stages of mosfets or by increasing the power supply to 150 volts in the same circuit? what are the uses of TL041 and 555 which one is making a clock pulse/ square wave generator? You can increase voltage up to 100V , you cant adding more stages of final mosfet. But you can upgrade with replacing the mosfet with more Vgs Igd higher. The Tl041 as a comparator circuit. And 555 as OCP circuit protection for it amplifier. This is real 3000watt rms? It is professional? Minimum 2 ohm impidance? Do you have a circuit board of this amplifier in .LAY format? Yes it is real 3000w if you make with same as components list. I want to purchase complete audio board. What price and how to purchase . i am from india. Please inform me. looking at the lay out of your pcb board,how will you put the heat sink for the mosfets and will this circuit require a pre amp and power capacitors or its all with the board once assembly is complete? IS THIS PCB LAY OUT ENOUGH FOR THE AMP TO BE COMPLETE ONCE ASSEMBLY IS COMPLETE OR WILL IT REQUIRE THE POWER CAPACITORS? if you use smps u u dont require power capacitor. if you use conventional transformer you must use. just if i may ask ,can i replace that inductor with a toroidal transformer? No u cant using toroidial transformer for inductor. 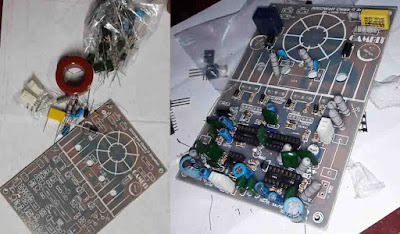 Kindly send me your email.I want the PCB board for this 3000watts power amplifier.my email is jumaken99@gmail.com.can I use an air core inductor in place of that iron core inductor? use iron core inductor, please contact me at contact us page. I want to buy 3000 watt power stereo amplifier. untuk menaikan daya power amply tersebut diatas 3000 watt. Apakah yang harus dirubah dan ditambahkan pada skema pwer amply tersebut? Hi Wahyu ! 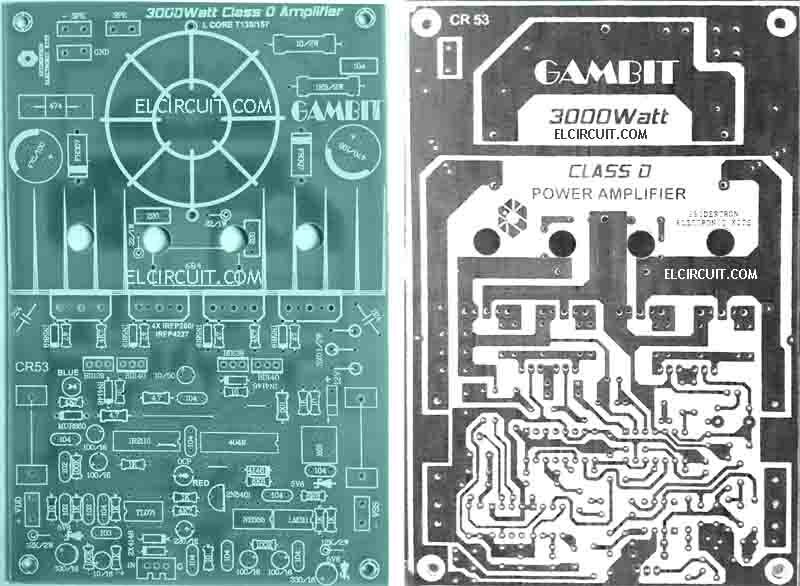 I watched the video of the gambit 3 k watts class D amp and there seems to be missing parts : bd140 transistor and the final mosfet transistors. Has this board been tested to be fully functional ? Can you post a test video of this amplifier ? Pls upload the circuit diagram of 3000w mosfect that is very clear. Thanks. i am sanjay frome india my phone no is 9811639881.i have fully made it and redesigned the pcb perfectly, but i have a small questn is the heating of iron core coil normal ? please answer asap . Do i see it correct? I need +12 Volt, -12 Volt, +80V and -80V? All with the same common ground? 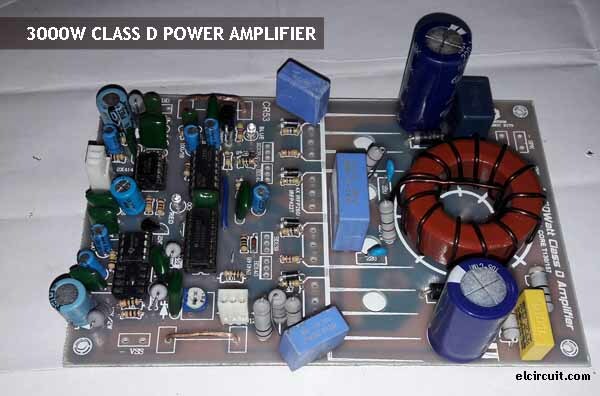 Hi, to obtain 3000w from this amplifier, what ACvoltage and Ampere transformer should we use? please tell me acctual pcb size. Hello sir can i purchase class d 3000 amp pcb and all component ? Please reply me. Is this able to handle two 7000watts 8ohms speaker? Hi sir IR2110'S 13.pin is not connect.Why ? Thanks in advance .